Experience You Can Trust in Virginia Beach, Norfolk, Chesapeake, VA and Surrounding Hampton Roads Areas. When you hire a home inspector, you want someone who will keep your best interests in mind. KSA Home Inspections LLC brings more than 40 years of experience to the inspection process. Owner Chris Struble started doing inspections in 1995. 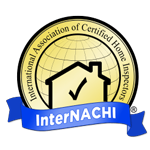 He’s a retired firefighter and fire inspector who is also a Certified Master Inspector through InterNACHI. Our family owned and operated business has an A+ rating with the Better Business Bureau. We are an insured, limited-liability company. Our team is familiar with NFPA building codes, as well. KSA stands for our Knowledge, Skills and Abilities to conduct any type of property inspection. We understand the importance of a carefully conducted property inspection as it relates to the value of your investment. Call (757) 472-6076 today to schedule an inspection by KSA Home Inspections LLC in the Virginia Beach, Norfolk, Chesapeake, VA and surrounding Hampton Roads areas.